Chaos and I completed "Dragon D" this week. We started by reading several books about dragons (there are some really great dragon themed books available at our local library). The first book we read was The Knight and the Dragon by Tomie DePaola. This was a favorite of both Pinky and Chaos. Neither the dragon or the knight has any idea how to fight each other so after a series of "whoops" they put their skills to better use. 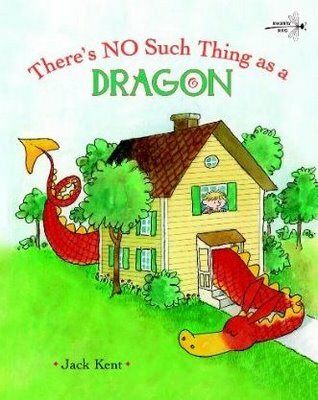 Next we read There's No Such Thing as a Dragon by Jack Kent. 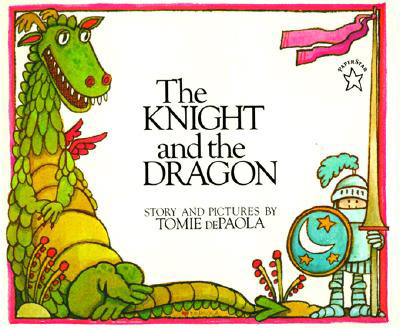 The dragon in this story gets bigger and bigger the more Billy's mom insists that dragons do not exist. After we finished reading, we made our dragon D! (The idea came from here at No Time for Flashcards.) I had intended to use red and orange tissue paper for the flames, but Chaos had other ideas. 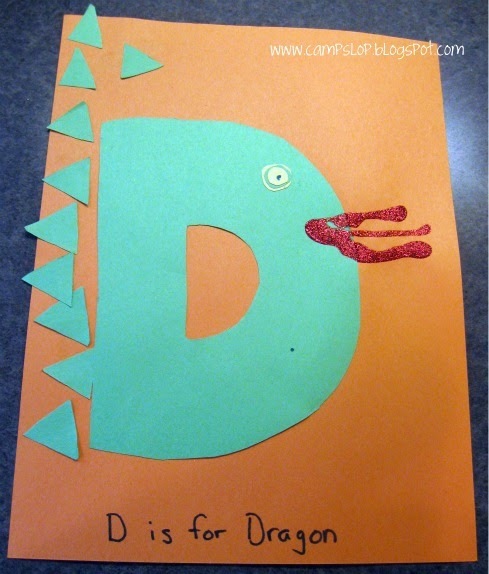 What kid can resist glitter glue?